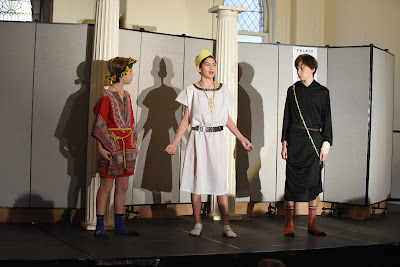 Last Friday, 7 Pi mounted their performance of Sophocles' Oedipus, a tragic masterpiece from the ancient Greek lexicon that focuses on man's futile attempt to control his fate once the gods have dictated it. Congratulations to Key to Passaic, New Jersey, recipients Nicholas R. (Oedipus), Rich. 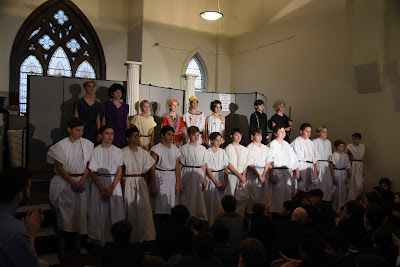 P (Iocasta), Charlie C. (Creon), Harry D. (Teiresias), all of the cast and chorus, and teacher/director Joe Kilkeary for a job well done! 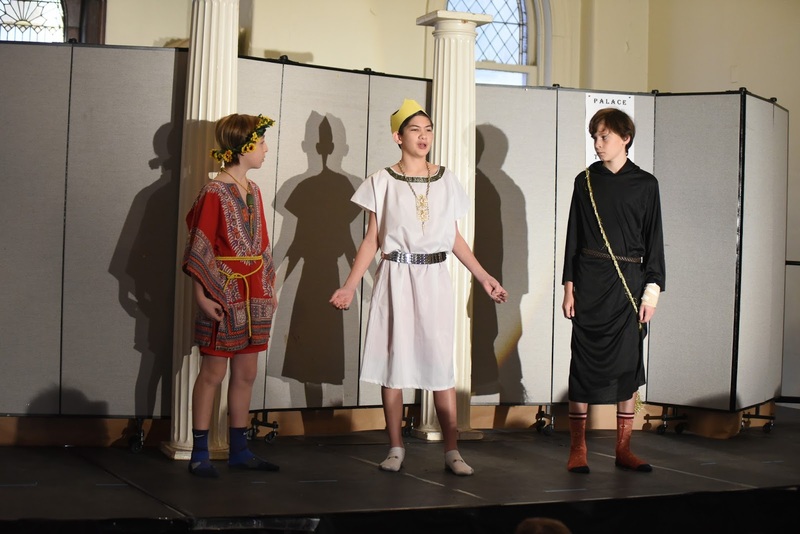 Both of our seventh grades perform a play in conjunction with their yearlong study of the ancient Greek and Roman civilizations in history class. Next week, 7 Theta will perform the medieval morality play Everyman. 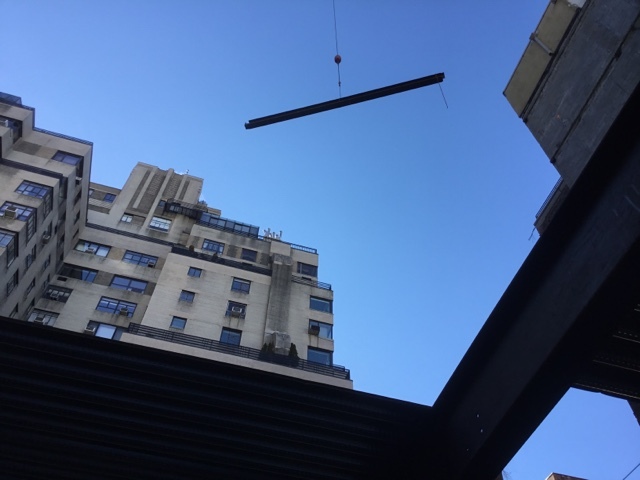 A spectacular view of the crane at work Saturday installing the steel for the mezzanine and second floor of the New Saint David's expanded campus. 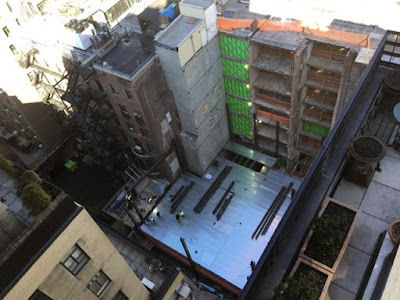 Second floor and foundation work continued unabated today. 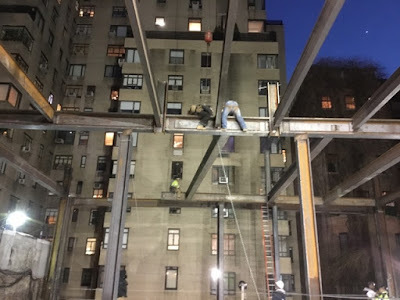 Beautiful weather for building a steel frame, I'd say. And so work on the second floor superstructure of our new building resulted in the installation of the mezzanine level today. 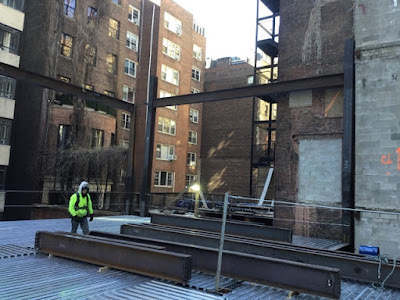 Notice the bleachers for our new 300 seat auditorium to the right. Dr. Willow Hai of the China Institute led our fourth graders this week in a calligraphy/brush painting workshop at Saint David's. Dr. Hai, an expert in calligraphy and brush painting, taught the boys proper Chinese brush technique and discussed the differences between traditional and modern interpretations. 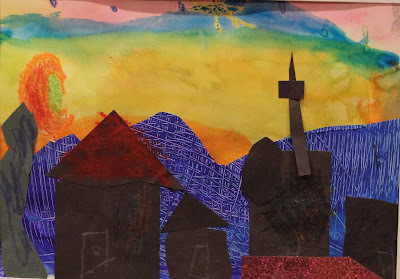 Fourth graders are studying ancient Chinese civilization in their history curriculum, and "mountain-water" paintings in their art classes. 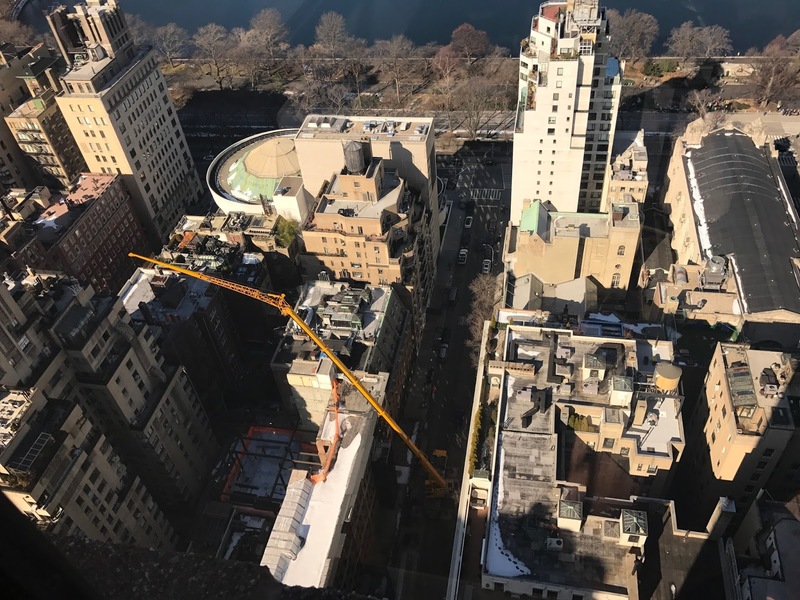 The boys recently visited the Metropolitan Museum of Art to view the scholar's garden and other art treasures under the guidance of their history teachers. In art class they have made scrolls inspired by Chinese landscape painting and discussed the concept of "the three perfections" of calligraphy, painting, and poetry within the Chinese cultural context, so the boys were very excited to learn and practice some brush techniques. Our gratitude to Dr. Hai for providing the workshop and to our Upper School Assistant Librarian Winnie Feng for coordinating this special learning session. 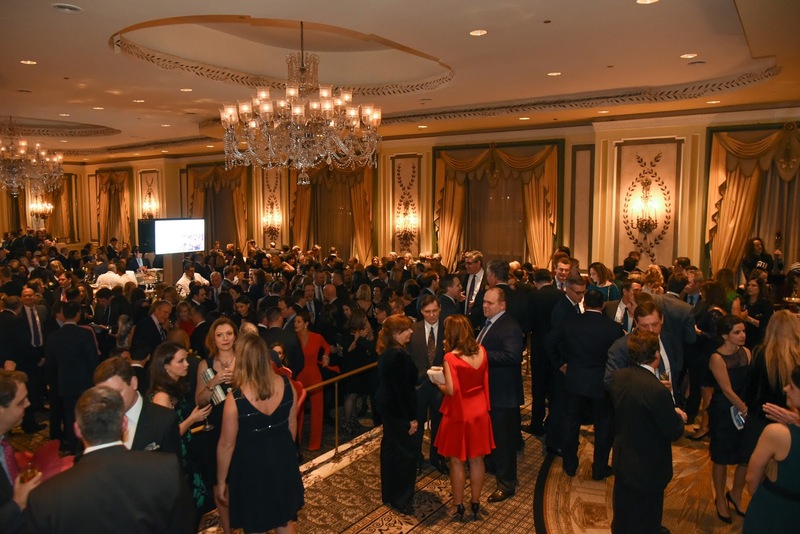 I would like to share this video, produced by parent Renata Xatart, Director of Production at Mirrorball, for our recent benefit. 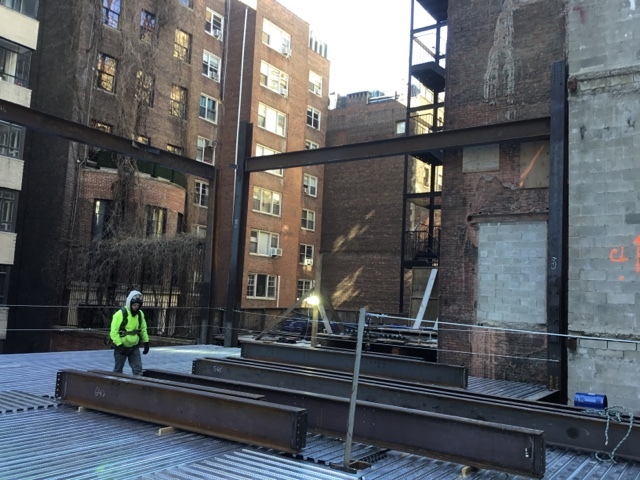 It is beautifully done, truly captures the essence of Saint David's, and provides a preview of our school's exciting expansion project. As part of our ongoing PA-sponsored Author Series, we welcomed Steve Light to Saint David's this week. Mr. Light, a preschool teacher, author and illustrator of many popular children's books including Have You Seen My Dragon?, Have You Seen My Monster?, and The Bunny Burrow Buyers Guide, spoke to the boys in Pre-K and Kindergarten about his illustration process. He told the boys that he started to draw when he was their age, encouraged them to keep drawing, and not to be discouraged by mistakes. 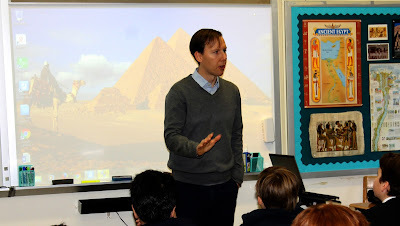 Boys find it inspiring to learn about the creative process in such a tangible way from a real-life author. The PA Author Series provides our boys with this valuable opportunity. 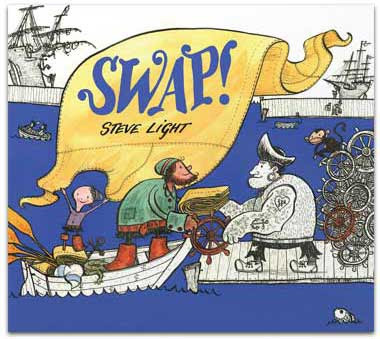 At the end of the session, each boy was given a signed copy of Mr. Light's latest book, Swap, a tale of friendship and ingenuity, thanks to the generosity of one of our families. Red Basketball beat Buckley 39-37 to win the MPMSL Championship game today at our 94th Street Gym. It was an exciting one! Conor G. led a second-half comeback, and scored the winning basket with 9 seconds left in the game. Congratulations to all of the boys and their coaches, Pedro Morales and Keith Williams. The boys were strong all season, great team players, and good sportsmen. The team was cheered on to victory today by many faculty and boys in attendance; I can imagine how even more wonderful (and packed) these games will be in the near future when we have our new gymnasium on 89th Street! 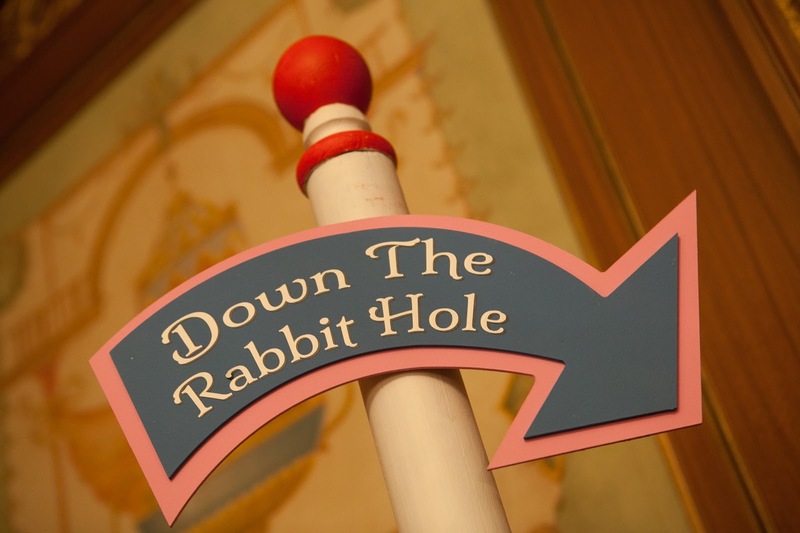 We were taken Through the Looking Glass and Down the Rabbit Hole at The Pierre on Friday evening for the PA Benefit Auction and Dinner Dance, which celebrated our school-wide theme of curiosity. 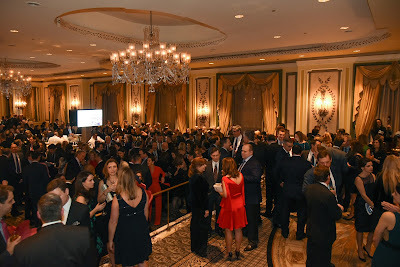 What an event it was! Great conversation, a shared meal, spirited bidding, a video that previewed our exciting expansion project, and nonstop dancing. Above all, it was an opportunity for parents, and faculty and staff to get together in celebration of our wonderful community. 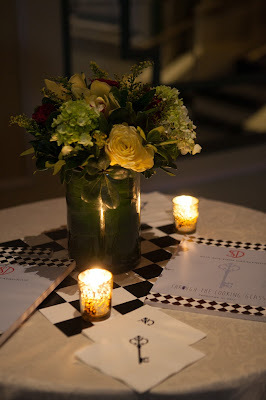 A heartfelt thank you to Benefit Chair Sara DiPasquale--her aesthetic eye is second to none--and her team of volunteers, and also to our PA President Tracey Pontarelli for planning and executing a night to remember. 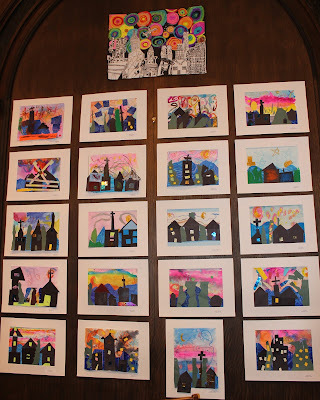 For the past two weeks, Room 22 at Saint David's has turned into an art gallery, featuring the artwork of our Lower School boys. 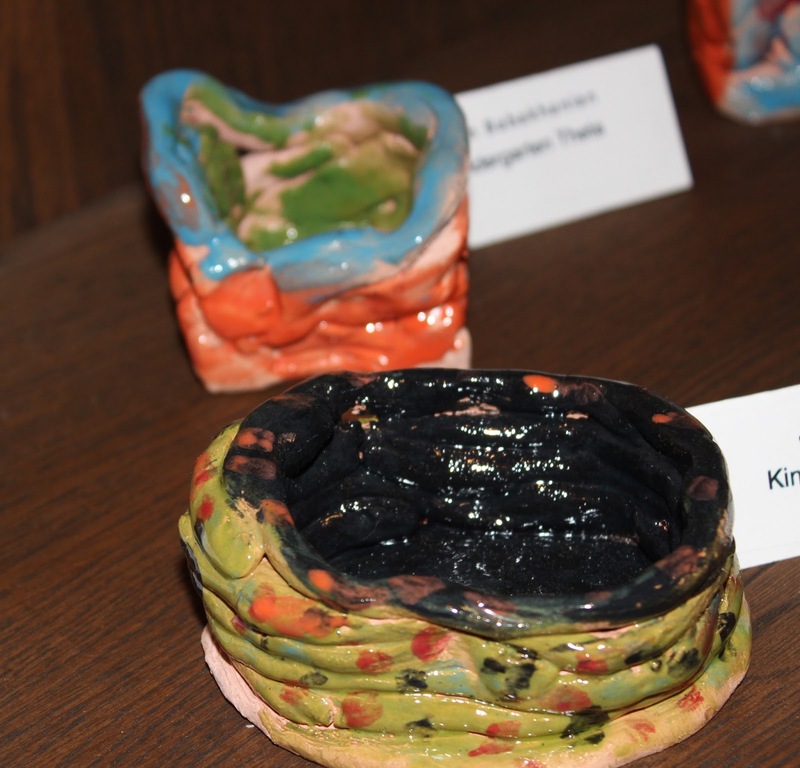 The boys' pieces, representing their accomplishments in art, pottery and woodworking, are thoughtful creations that reflect art skills they have learned in conjunction with the boys' study of the techniques of various masters such as Van Gogh (Kindergarten) and Kandinsky (Grade One). Often art class also is where our boys can further explore topics they are learning about in other disciplines. In woodworking, boys in Grade Three create covered wagons related to their study of the Oregon Trail; while Omega's animal portraits reflect their learning about animals and their environment. 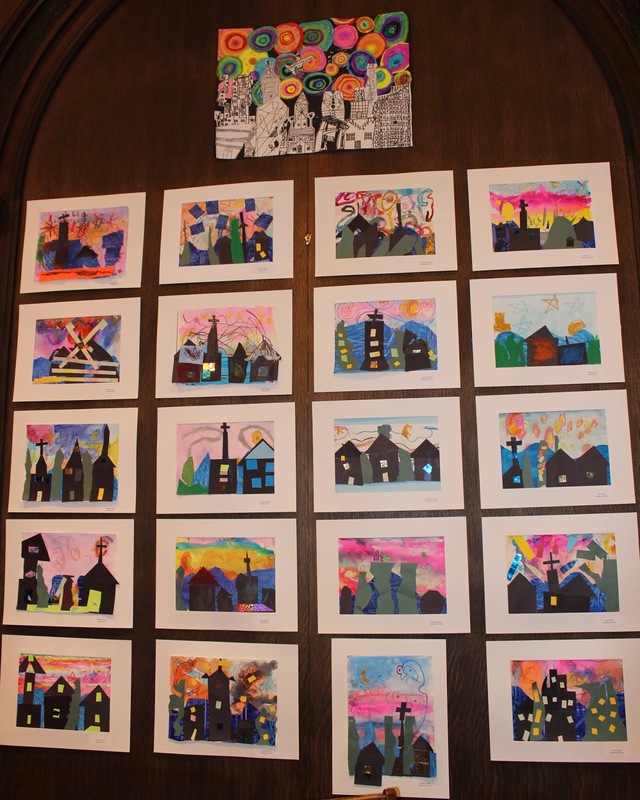 The arts are an important pillar at Saint David's. 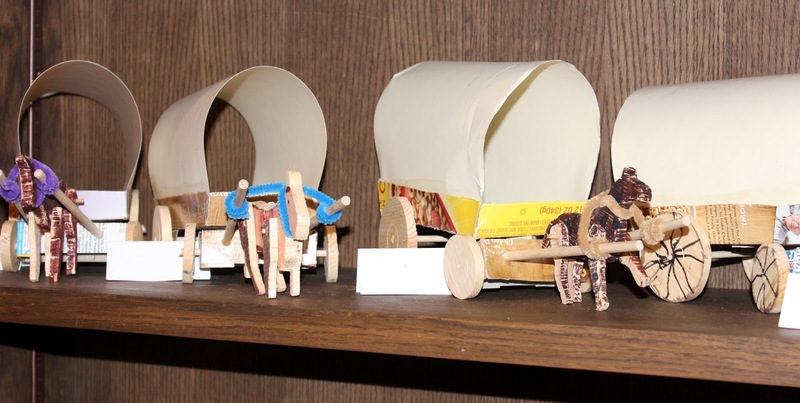 It's a joy to see the creative spirit of our boys expressed on canvas, in clay or through woodwork. Their pieces are reflections of what they have learned, as well as how they see, what they think and how they feel. 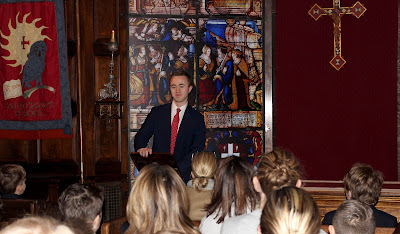 Bobby Hausen '07 gave a beautiful, special Mother - Son morning Chapel talk today for our fifth graders and their mothers, with his mom, Rosemary, also in attendance. With sixty seconds' worth of distance, Run. And - which is more - you'll be a (Good) Man, my son! He noted that while the poem contains words of advice from a father to a son, it had relevance for the morning's talk, which focused on the themes of limited time and a mother's boundless love. 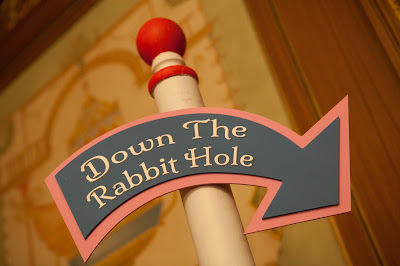 Encouraging the boys to appreciate the time they have with their moms now, Bobby noted that before long they will be in high school and college, then working, and won't be spending as much of their days with their mothers. Acknowledging that it is normal for boys to strive for independence, as he did when their age, he expressed regret that "I didn't always appreciate the tireless sacrifices my Mom made. She was always there, through rough times, a shoulder to lean on." He shared the ways he tries to give back to his mom, and encouraged the boys present to do so, "through small acts, hugging her, showing interest in her life, writing a thoughtful card." Bobby closed by relaying a more recent time when his mother was there for him during a hospital stay, and then later when he was there for her, and realized how important that kind of support is. "I cherish moments with my mom," he said. What a beautiful message and meaningful way to start the day! 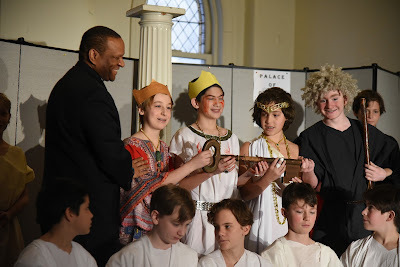 This morning, Cheryl Anderson of Save the Children joined us for 7th and 8th Grade Chapel, initiating year 7 of our commitment to the Saint David's Kalina School in Tigray, Ethiopia. Ms. Anderson provided an update on the school and expressed gratitude on behalf of Save the Children, our partner in this project; and the children of the Kalina School. 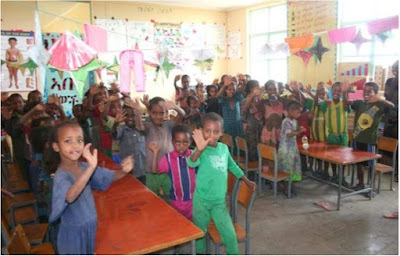 What began as a Student Council-led greater good initiative in 2011 to give back during our 60th anniversary celebration by building a badly needed primary school in Tigray, Ethiopia, has evolved into our continuing commitment to the school and the Kalina community. Each year our boys have worked enthusiastically and with dedication under the guidance of their teacher Tom Ryan to raise funds in support of the project. The Saint David's Kalina School now consists of our original administration block, a block of four classrooms, two separate latrines for boys and girls, an early childhood care and development center and, most recently, a well of fresh water and a newly added block with two additional classrooms. More than 800 boys and girls in pre-school through Grade 7 currently attend the school. 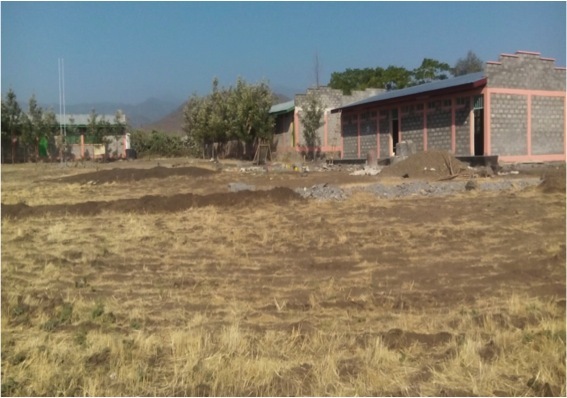 This year's fundraising efforts will support the expansion of the Kalina School to include Grade 8, making it a complete primary school, like Saint David's. Our boys look forward to again supporting Saint David's Kalina School and their 800 peers and buddies in Ethiopia. 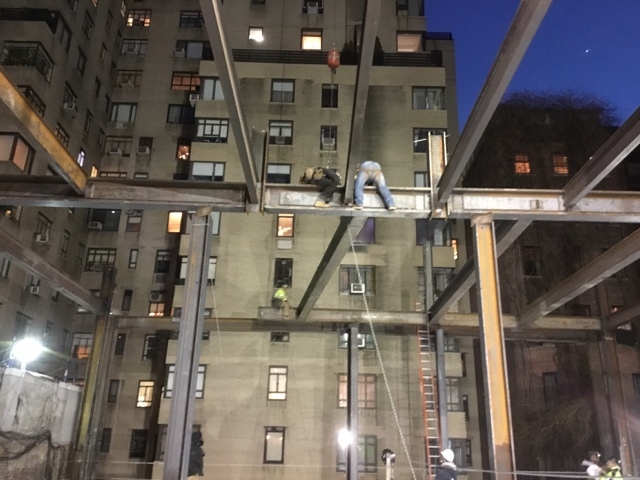 The second steel pick is underway this weekend at Saint David's. 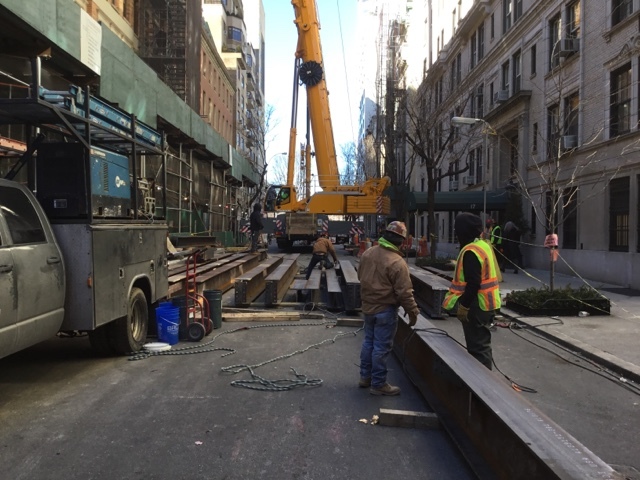 The school and 89th Street between Madison and Fifth is closed. 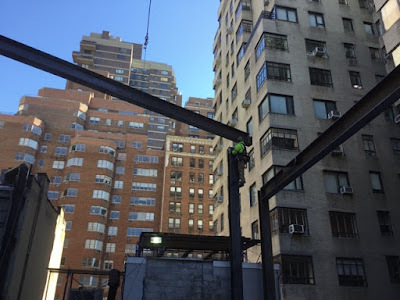 Steel is being picked from flatbed semis on 89th Street and placed up and over the facade of Graham House onto the ceiling of the new first floor of the superstructure. 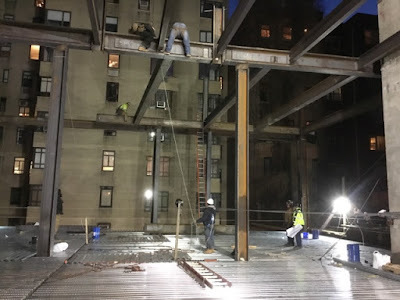 This weekend's steel delivery is for the second floor. Our PA Author Series brings published authors to Saint David's who speak to our boys about the writing process. 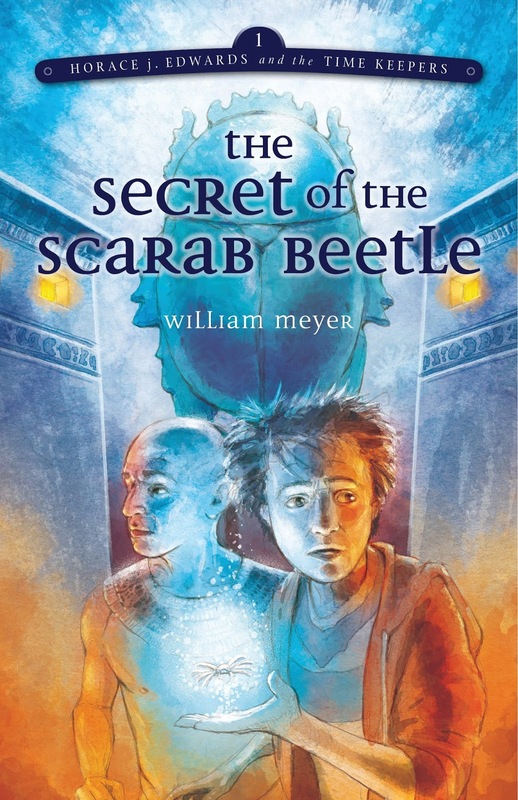 Recently, William Meyer visited our fourth graders during their language arts classes to talk about his debut novel The Secret of the Scarab Beetle, which was sparked by his fascination with Ancient Egypt. 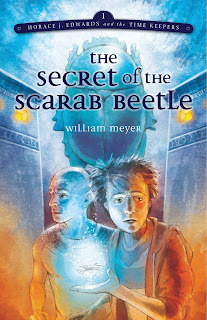 The boys loved the session; they had studied the Egyptian civilization in history classes throughout the fall and thoroughly enjoyed participating in a discussion about the curse of King Tut's tomb, and the scarab beetles found therein, which inspired Meyer's book. Providing our boys with access to professionals in various fields, whose works dovetail with the boys' units of study, is a powerful way to deepen learning and inspire curiosity.